ORRVILLE, Ohio, Sept. 25, 2018 /PRNewswire/ -- Today, Café Bustelo® in partnership with the Hispanic Association of Colleges and Universities (HACU) awarded ten deserving Latino students from around the country with the Café Bustelo El Café del Futuro Scholarship. In its fifth year, the brand has provided $230,000 to date in college scholarships to 46 Latino students nationwide. Starting in February, Café Bustelo challenged students across the nation to submit an 800-word essay describing how their heritage, family and the community in which they grew up inspired them to obtain a college degree and how they plan on giving back to their respective communities. Patricia Jaimes (East Lansing, Mich.): Despite financial difficulties, Patricia's parents emphasized the importance of obtaining a good education. Between balancing multiple jobs, participating in extracurricular activities and being the mother of a child with disabilities, Patricia chose to pursue higher education and maintain a high GPA. Now, she is currently working on a Ph.D. in earth and environmental sciences and hopes her research will contribute to structural and social changes within higher education and STEM communities, making them more inclusive for ethnic minorities and people with disabilities. Airam Caldera (Ind. ): As the first-generation American of Mexican immigrants, Airam's parents' hardships are what fueled her desire to earn not one, but several college degrees. Over the course of her undergraduate experience, she struggled to find a niche for herself until she found support with Sigma Pi Alpha at the University of California, San Diego, a Latina-based multicultural sorority. Now focusing on her Master of Biomedical Sciences at Marian University – College of Osteopathic Medicine, Airam plans on specializing in geriatrics to care for the immigrant community that collectively raised her. Gabriela Peterson (Albuquerque, N.M.): Her desire to break the vicious cycle associated with difficult socioeconomic conditions that existed in her community as a child significantly impacted Gabriela's motivation to obtain her college degree, becoming a first-generation college student in her family. When Gabriela became a high school teacher, she found sharing her knowledge and enthusiasm for learning with children in her own community so rewarding. Now in doctoral studies, Gabriela intends to develop the necessary transferable skills to become a socially-just educational leader. Norge Arnaiz (Davie, Fla.): As a first-generation Cuban-American, Norge came from humble beginnings. Seeing his parents sacrifice everything to provide their family with the best opportunities inspired Norge to receive an education and major in accounting. It wasn't until he joined the Association of Latino Professionals for America that he was able to find a mentor with a similar cultural background and interests. Norge credits the organization with helping him become the successful student he is today and showing him the impact Latinos could have on society. Juan Rivera (Miami, Fla.): Originally from a rural community in Nicaragua with limited healthcare resources available, Juan was determined to pursue a medical degree to help people in countries where medical help is scarce. He was inspired by his parents' work ethic and their desire for a better life for their family in moving from Nicaragua to the United States. After witnessing others struggle to obtain quality healthcare, Juan found his passion in serving those who need it most. Bianca Esquivel-Bolanos (Mission, Texas): After Bianca's parents decided to move from an impoverished neighborhood in Parlier, California to a town in South Texas with more opportunity, Bianca was determined to take advantage of all the educational resources available. She sought every opportunity to enrich her life whether it was through extracurricular activities, networking or spiritual meditation. Humbled by her parents' sacrifices to give her family a better life, Bianca's goal is to publish research on the modern problems Hispanic youth face and uncover viable ways to help address depression and anxiety caused by cultural stereotypes and detached familial relationships. Germain Medina (Hollister, Calif.): Determined to become a physician and help support those who are disadvantaged in his community, Germain has worked relentlessly towards realizing that dream despite hardships throughout his life. With a 4.17 grade point average, Germain is excelling both in and out of the classroom. He is the president and founder of Club Biology, which tutors students in all areas of science and is the Vice President of Robotics Club. Germain is also involved in the Red Cross Club and Pre-Health Club as well. At home, he is an integral part of his father's business and cares for his grandfather who suffers from a mental illness. Maria Sinkule (Addison, Ill.): Inspired by her parents' selfless values and humble upbringing, Maria is a first-generation Mexican American currently pursuing a doctorate in Social Work. Having grown up without much, she learned from her parents the values of family, education and always remembering her roots. Maria plans to use her doctorate to encourage others to pursue higher education degrees and teach at the university level. Christopher Cardenas Cahun (Dixon, Calif.): Christopher is deeply invested in giving back to the Latino community that has provided him with so many valuable life lessons. He plans to give back by investing in scholarship opportunities, leadership conferences, and college-oriented programs. Christopher credits his educational support system with providing him with all the tools needed to succeed in college, but he is grateful most of all for his solid family support. He would like to invest in family support systems so that more children can grow up in safe and supportive environments. Eduardo Martinez (Collegedale, Tenn.): As a youth leader in his community, Eduardo encourages others to do well in school and take pride in their accomplishments. He makes himself available to local teens to provide them with support, advice and encouragement to continue pursuing their dreams, no matter their situation. An advocate for Latinos, Eduardo would like to create an organization offering scholarships to Hispanic youth to help further their educations. 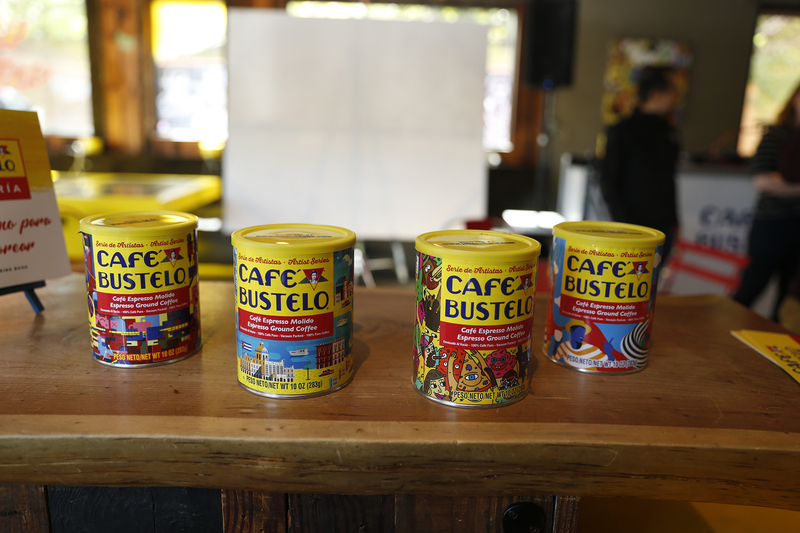 Stay updated on the latest Café Bustelo news by following along on social media: @CafeBustelo on Twitter and /CafeBusteloOFFICIAL on Facebook. Our delicious coffee and rich espresso heritage was born in 1931. Since then, we've not only been proud of our rich, full-bodied flavor, but also of our unique and inviting culture. Café Bustelo coffee can be prepared using your preferred method. Available in the forms you want, including K-Cup® pods. The Hispanic Association of Colleges and Universities (HACU) represents approximately 470 colleges and universities committed to Hispanic higher education success in the U.S., Puerto Rico, Latin America and Spain. The association's headquarters are located in San Antonio, Texas, with government relations offices in Washington, D.C., and Sacramento, California. HACU is the only national association representing existing and emerging Hispanic-Serving Institutions (HSIs). Information is available at www.hacu.net.